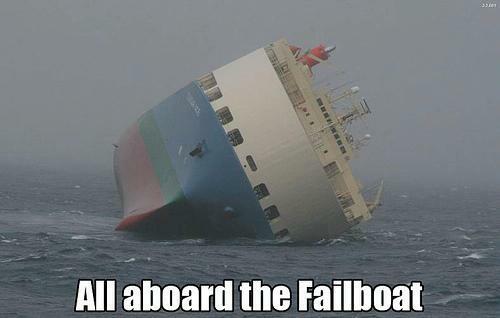 Nightmare Union: All Aboard the Fail Boat! your an angry elf!! but like I said you are cute when your mad! !this is my favoritely site. Looks lik fox news had a mass effect on you...because of their munipuliated misinformation. Fox is a very biased news station! its cool how passionate you are about gaming! its refreshing to see someone love what they do for a living. If I owned a video company such as BLIZZARD..i would hire you in a second. You are intelligent and passionate about your work! It’s called the Ocean. You should try going out on the Ocean and have fun with your boat staying upright.